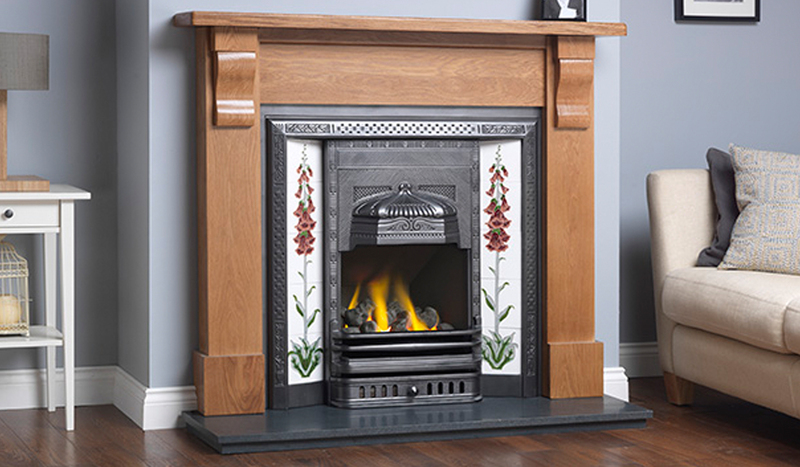 The Eden Integra is a traditional tiled insert with an ornate patterned canopy . It is shown in antique finish with Burgundy Foxglove tile set. Also available in matt black finish.